Going into this I knew what to expect ... 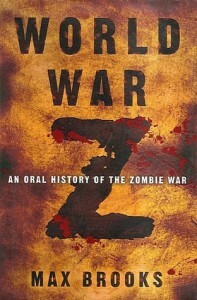 I had read part of World War Z a few years before. Maybe because there were not a lot of zombie apocalyptic stories at the time, I found it enjoyable. But let’s face it – with the walking dead and all the others of its kind – this story with its journalistic view does not hold the heart-thumping, adrenaline-pumping feeling as some do now. However, this story is well written and it’s style unique.